Most electric wheelchairs and mobility devices can easily shrug off a little rain, but on the whole, they really don’t mix well with water. 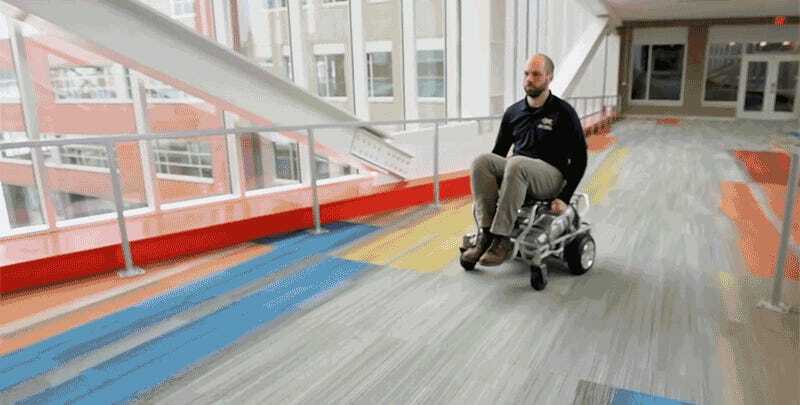 So engineers at the University of Pittsburgh designed a powered wheelchair that runs on compressed air, allowing those with limited mobility to safely enjoy a day at the water park. Every now and then, good things really do happen in this world. The engineers at the University of Pittsburgh’s Human Engineering Research Laboratories were already working with the U.S. Department of Veterans Affairs, and the University of Pittsburgh Medical Center, on prototypes of the chairs, but were contacted by representatives of the Morgan’s Wonderland amusement park in San Antonio, which caters to those with disabilities. Morgan’s Wonderland was opening a new splash park, Morgan’s Inspiration Island, where most electric wheelchairs couldn’t be safely used. To ensure that guests don’t have to be pushed around in a manual wheelchair, the Human Engineering Research Laboratories will deliver ten of its chairs when the park officially opens later this spring. Built from components that can almost all be found at a hardware store, the PneuChair is powered by a pair of compressed air tanks. 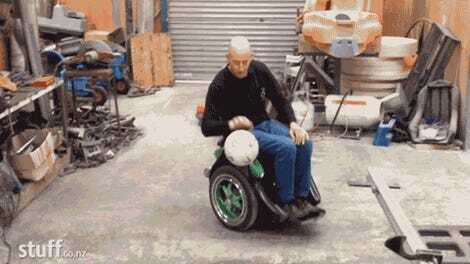 Its range is limited to about three miles, or about a third of the distance a battery-powered wheelchair can travel. But recharging the tanks only takes about ten minutes, compared to the eight hour charge for a large battery in an electric mobility device. 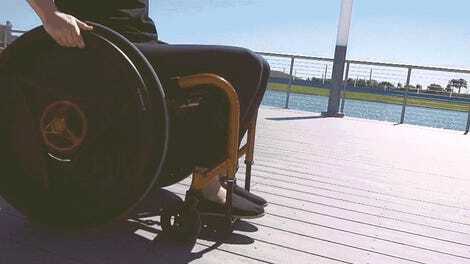 Without electronics, the PneuChair is also cheaper, and easier to maintain and repair than an electric wheelchair. But the biggest advantage is that it can get splashed, soaked, and even driven under a waterfall, without breaking down, or electrocuting the rider. In addition to theme parks, the design could also be useful for hospitals and nursing homes, allowing patients to access shower facilities while remaining independent.